The Google Pixel 2 XL smartphone contains a 6-inch POLED display with a QHD + resolution of 1440 × 2880, covered with a protective glass of 3D Gorilla Glass 5, an 8-core Qualcomm Snapdragon 835 processor with a frequency of 2.35 GHz, 4 GB of RAM and 64 or 128 GB of internal memory flash memory. The body of the device provides protection from dust and water in accordance with the requirements of the standard IP67. 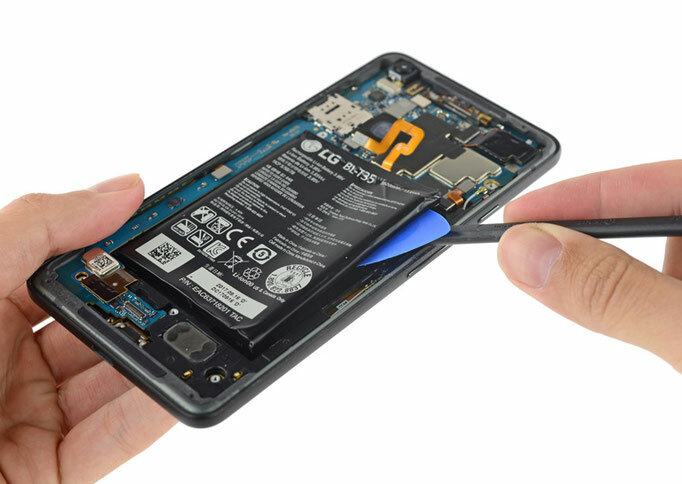 During disassembly, a battery with a capacity of 13.6 Wh (3520 mAh, 3.85 V) was detected, which is slightly higher than the battery characteristics of last year's version (13.28 Wh). 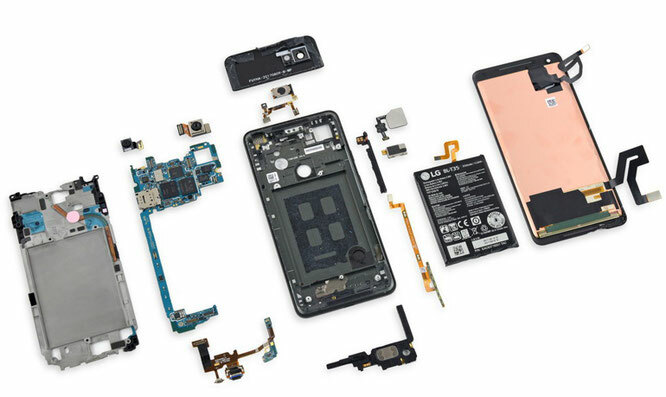 Following the disassembly of the new Google Pixel 2 XL smartphone was assigned a maintainability rating of 6 out of 10. Note that the maximum score of 10 corresponds to the most easily repairable devices. Thus, the model under consideration is quite well repairable. This indicator was the same as that of its predecessor. Many components are modular and can be replaced after removing the display unit. All screws are ordinary Phillips # 00 screws, and there are only 9 of them. The display is still thin and poorly supported, especially around the grill, but foamed glue facilitates the opening process. The battery is securely glued to the body and has no tongue, which could help with its extraction. The repair process is complicated due to tightly fitting display cables and a stubborn frame.